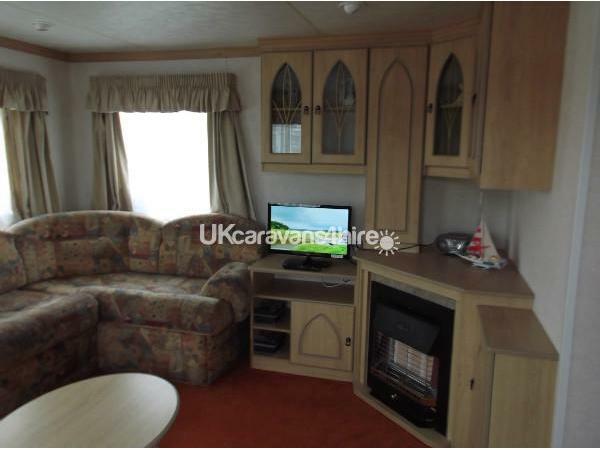 This is a very comfortable holiday home caravan with plenty of comfortable seating in the lounge ,in the lounge you will find a free view TV & DVD player with a good selection of DVDS films for your enjoyment.,you will also find a radio & CD player ,I have also provided several books for your enjoyment . 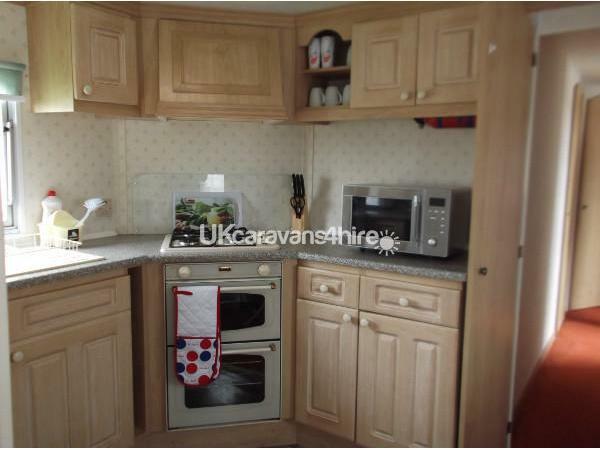 The kitchen you will find it fully stocked with fridge (sorry no freezer) oven /grill, microwave, kettle, & toaster, as well as cook wear, oven & piazza trays, roasting pan, all crockery, cups, plates, dishes, cutlery & wine & tall glasses . 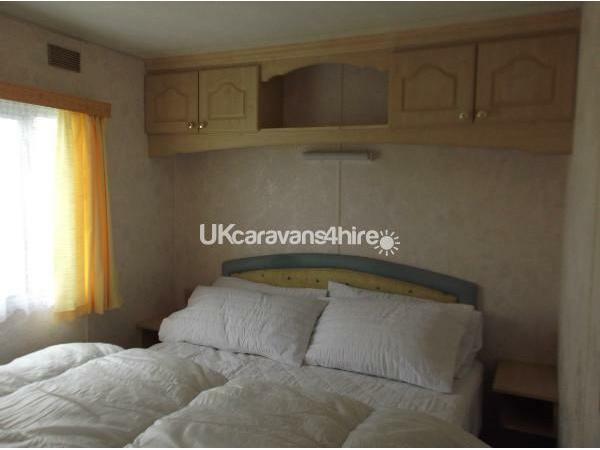 The bathroom is a good size with washbasin, toilet & shower. The shower has a deep step & inside it has a small perfect to used as a small bath for small children & baby's. 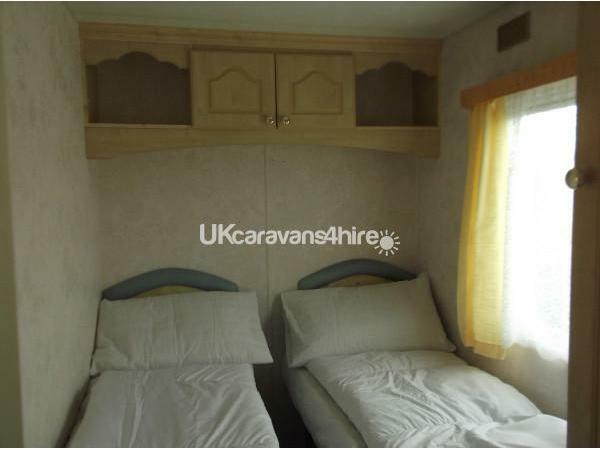 it has one double bedroom & two single twin rooms with a further double bed in the lounge, all with ample wardrobe space for hanging your clothes & bits & bobs in . I also provide a vacuum cleaner, iron , and a hair dryer. 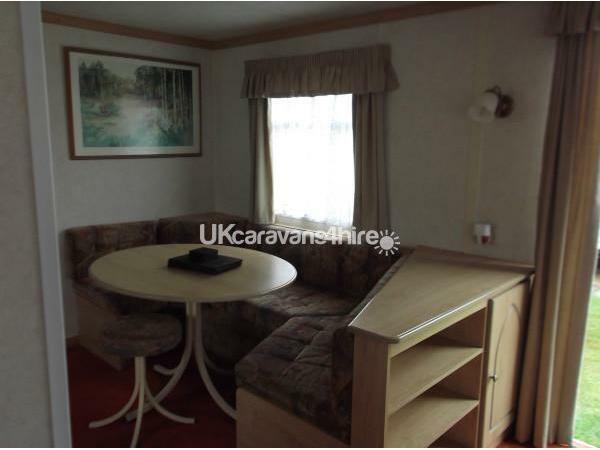 I ASK FOR JUST £50 DEPOSIT TO SECURE YOUR HOLIDAY & £50 SECURITY BOND THIS IS RETURNED TO YOU AFTER YOUR HOLIDAY WHEN THE CARAVAN IS LEFT CLEAN & WITHOUT ANY DAMAGE TO CONTENTS ,THE REMAINDER OF YOUR BALANCE IS TO BE PAID SIX WEEKS BEFORE YOU HOLIDAY. 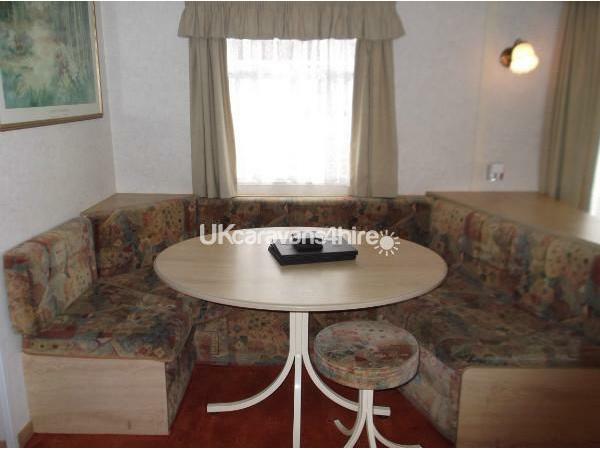 Kingfisher Holiday Park Is very well maintained and has superb security with card operated entry and exit barriers so only owners and guests can access the park. 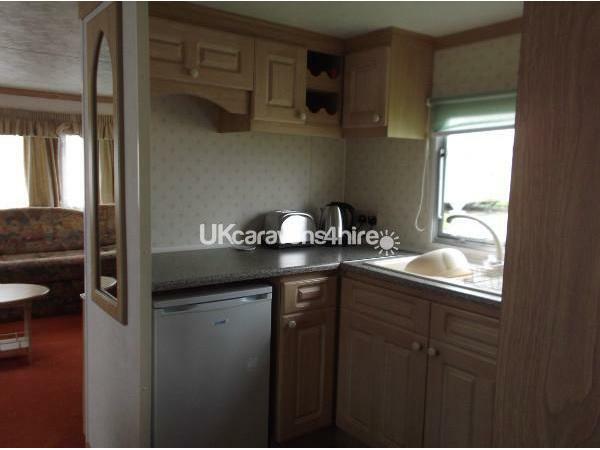 Your vehicle can be parked alongside the caravan for peace of mind and the park has CCTV and a regular security patrol. 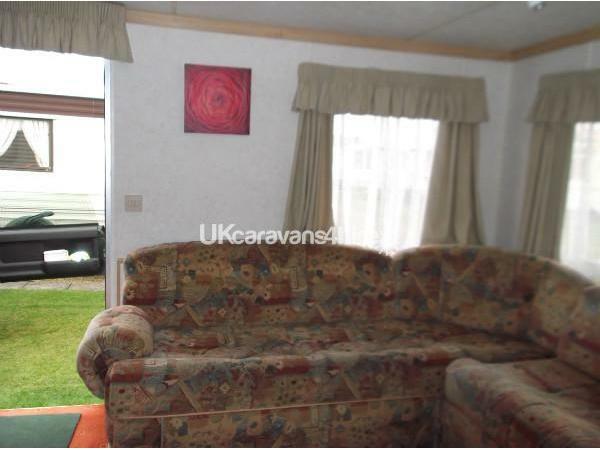 On site facilities include a shop, children's play area, launderette and information office. It's only a few minute stroll onto Sea Lane to an array of shops, cafes, bars arcades and not forgetting the fabulous East gate Market and Fantasy Island. A bus stop is directly outside the entrance where you can travel to Butlins, Skegness and Chapel St Leonards. Places of interest close by include Gibraltar Point Nature Reserve, Nature land Seal Sanctuary, the fabulous Hardy's Animal Farm, Skegness Stock Car Stadium, Skegness Water Leisure Park, and much much more.